Instructions are standard MPM with nicely drawn construction steps and color references for Humbrol paints. Additional drawings show detail construction and proper wing angles. 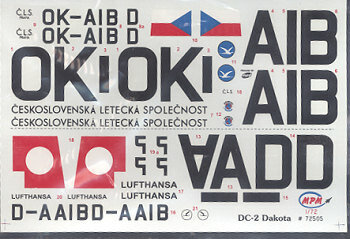 Markings are for two aircraft, two with the Czech national airline and another for this same plane in Lufthansa service. Actually, three of the latter are provided, one with the aircraft marked as when it was just seized in 1939, and two others with Lufthansa in slightly different markings. All the schemes are shown as painted aluminum. 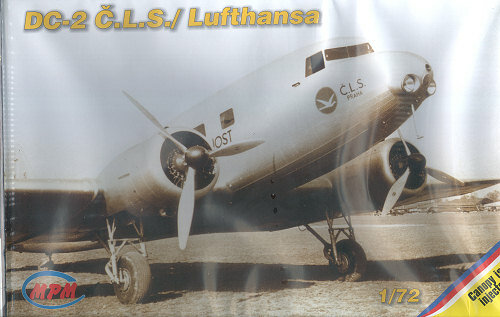 If one can find the right sized letters, an RLM 02 colored Lufthansa plane could be done as well. 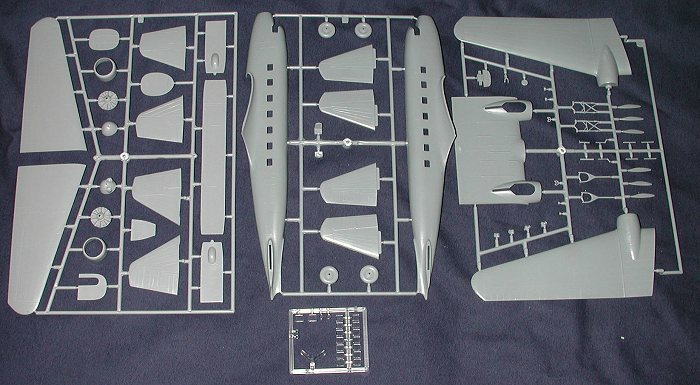 The decals are nicely done and quite thin, providing all the markings needed for the options provided in the kit. You can see that what is provided was carefully chosen to maximize decal space!